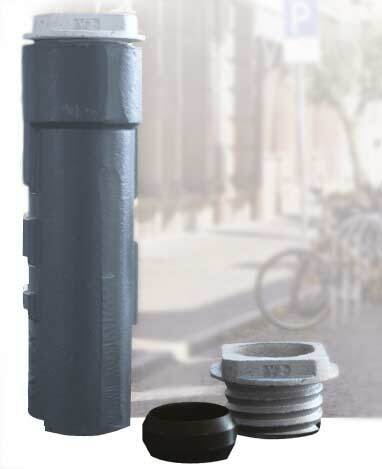 Ground sleeve is designed for for flexible installation of signposts, bollards and numerous other facilities which are to be anchored by a round tube in the ground, such as benches, leadframe, umbrellas, gazebos, displays, flag poles, bike racks, bins, etc. Damaged signs masts can be replaced quickly and easily without costly construction work. Vertical anchor design prevents them from rotating. Ground sleeve including tensioning nut and PE-clamping ring. Iron casting is the casting process using cast iron as its material. We can divide iron casting into grey iron casting and ductile iron casting. Grey Iron Casting: A type of casting in grey cast iron. Grey cast iron is a hard brittle material with excellent damping characteristics and good machinability. This is due to graphite flakes which precipitate into the iron during solidification. Gray iron has found its way into a variety of applications over the years. A great thermal conductor with great wear resistance, gray iron is the engineering alloy to suit your needs. Ductile Iron Casting: A type of casting in ductile cast iron. Ductile Iron is a unique engineering alloy that is similar to gray iron except that it is not brittle. The material is able to flex and has more fatigue resistance than gray iron. These properties are a result of creating graphite nodules instead of graphite flakes during solidification. Ductile iron boasts more strength and flexibility than gray iron while also featuring impact resistance. With a wide range of properties, ductile iron can meet your toughest needs. Althought grey iron castings and ductile iron castings are different, all of them could be produced in sand casting process. Why Iron Casting for Ground Sleeve? Casting is much more cost-effective compared with forging method, both in side of tooling cost and unit price. Also casting is an ideal production way for sample production and long run volume for its less investment in production. So for ground sleeve, casting is preferred. Material selected for ground sleeve is grey cast iron. The popularity of grey cast iron ground sleeve is because grey iron is one of the cheapest types of iron castings to produce. It has acceptable ductility, tensile strength, yield strength, and impact resistance for most applications. Grey Iron is also excellent in its ability to dampen vibrations making it ideal for ground sleeve application. Grey iron has high thermal conductivity meaning it moves heat more easily through the metal. A final benefit of grey iron is its ability to withstand thermal cycling well. Thermal cycling is where the component goes back and forth between warmer and colder temperatures. While thermal cycling can create stress and premature failure in some types of metal castings, grey iron has proven to endure the strain of thermal cycling quite well and not stress as easily. CFS foundry is specialized in making iron castings for many years. 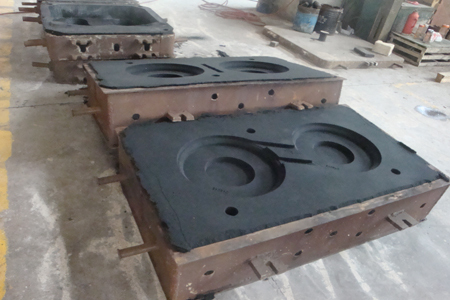 We have both sand casting and lost foam casting production lines for our customer’s selection. Parts made in CFS foundry for ground sleeve are bottom sleeve and clamping nut. Material grade selected is EN-GJL-200 (HT 200). Thanks to our professional skills and competitive prices, we have won great reputation from customers all over the world. If you are also in need of iron castings, also pls do not hesistate to contact us. We will offer you our best prices for reference first.